Zhaohui Wu says the Supply Chain and Logistics management MBA track is one of the ways the College of Business is setting itself apart. Beginning this fall, in addition to on campus in Corvallis the track is being offered to Portland-area students in an online/in-person hybrid format. It joins Innovation Management, Business Analytics and Organizational Leadership in the Portland lineup, which also includes a graduate certificate in Financial Planning. 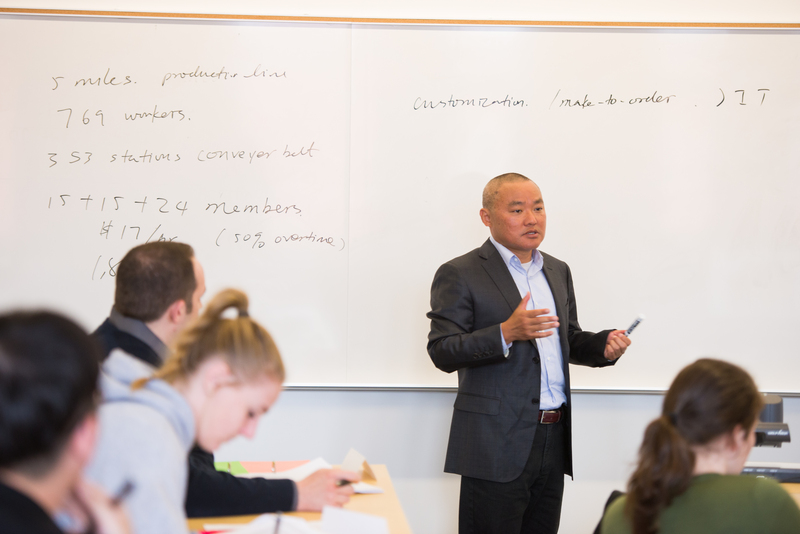 Wu, associate professor of supply chain and operations management, exemplifies the industry expertise College of Business faculty bring to their students. A former buyer for LORD Corporation, a designer, manufacturer and marketer of devices and systems for managing mechanical motion and controlling noise and vibration in an array of industries, including aerospace, he also worked as a project manager for a Chinese international trade company and holds a Ph.D. in supply chain management from Arizona State and an MBA from Bowling Green. At OSU, Wu’s teaching and research focus on supply networks, buyer-supplier relationships and environmental management strategy in supply chain operations. Supply Chain and Logistics Management students, Wu said, learn about ethics, leadership, system dynamics, supply networks, complex adaptive systems, negotiation strategy, logistics/distribution, system design and decision modeling. The ideal supply chain and logistics manager, he continued, is a data-oriented, facts-driven, system-thinking people person.